This is a fun pic...you know I used to have a record that looked very similar to this one. 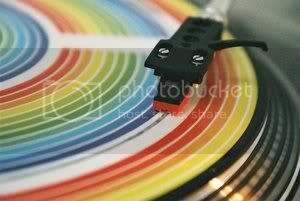 Ah the old turntable, I kinda miss it sometimes! Oh, wow, I never had a record that looked like that... but now that would be a trippy site.